We are temporarily disabling the Karma Coins® Gift Certificate feature on Tarot.com. But don't worry, there are still ways you can give the gift of Tarot, Astrology, Numerology, I Ching, or Feng Shui to your friends and family while we work on our systems. It's easy! You can use your Karma Coins to purchase a reading or report with the recipient’s name and birth information. You can then send the finalized product to him or her either by choosing “Email to a Friend” or copying and pasting the URL of the reading or report in an email, text, or message and sending the link to that lucky loved one. Additionally, by using our Profiles Manager tool here, you can easily generate readings and reports for your friends and family whenever you're feeling generous. Tarot, Astrology, Numerology, I Ching, or Feng Shui readings and reports make wonderful gifts, so keep in mind how easy and affordable they can be when you purchase them using Karma Coin package! 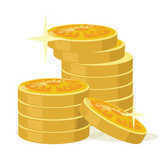 Not only will buying Karma Coins in bulk earn up to 50% off, but your purchase process will be as simple as one click! Check out all of our catalog of products here or purchase Karma Coins here!